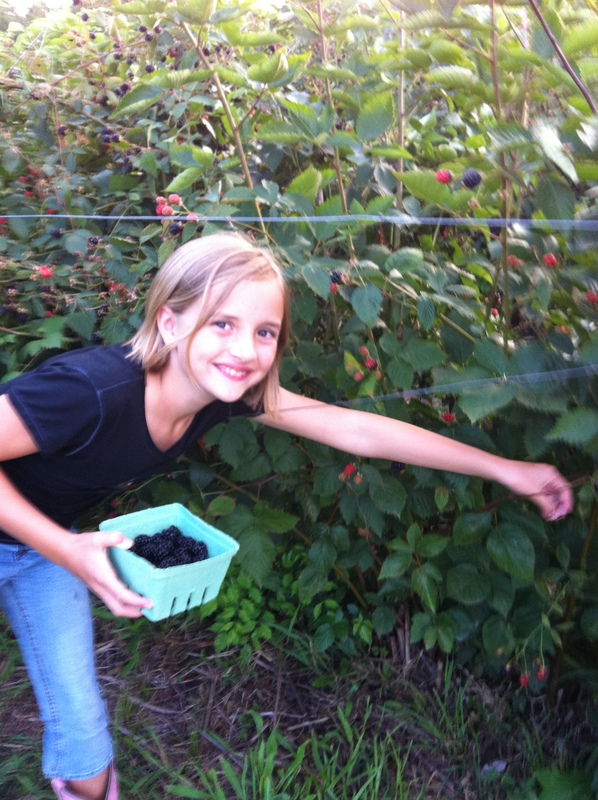 Kids of all ages will enjoy picking strawberries at our berry patch. The strawberries, like all of our berries, are at our farm off of Town Branch Road. Strawberry season is in May, but the dates seem to vary from one season to the next depending on the weather. We've started picking strawberries as early as May 9 and as late as May 27. Check the What's Ripe page for picking updates. 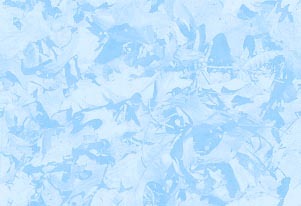 We provide quarts and boxes to pick into or you can bring your favorite strawberry bucket along and pick into it. Strawberries grow close to the ground on small plants with runners---we try to keep our patch in good condition but we haven’t found a way to help you avoid stooping! Blueberries---what a wonderful fruit! Blueberries are a great source of the antioxidents we keep hearing are so good for us and they taste great, too! Our blueberries grow on bushes that are about waist high so they are easy to reach! The bushes are in rows so the berries are easy to get to. The birds really like our blueberries--so much so that we lost a good portion of our crop in 2003. 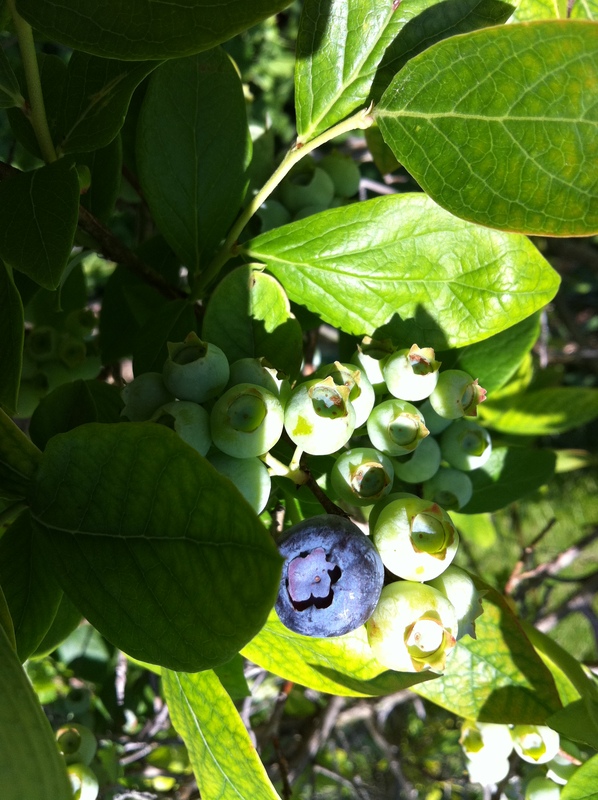 The blueberries begin to ripen in early June and last for about three weeks. We have a large blackberry patch with 4 varieties of thornless blackberries. All of our blackberries are in hedgerows that are easy to pick. Our blackberries are usually ripe around Father’s Day. Be sure to check the What's Ripe page for picking dates and times then plan for an outing with the whole family! I have to admit that my all time favorite pie is a cherry pie from fresh picked cherries! Our cherries are the tart variety that is perfect for pies and other cherry desserts (cobbler, crisp, jubilee...). Cherries grow on trees but our trees aren’t so tall that they can’t be reached from the ground. 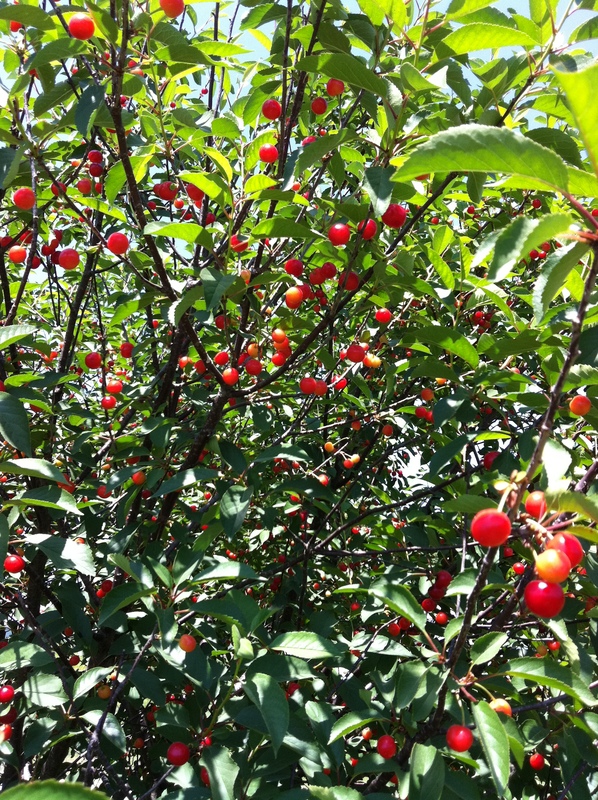 The cherries ripen in mid-June---be sure to watch the What’s Ripe section of our site for exact picking times. Peaches! This is what it is all about---a peach orchard is what started us on this fruit-growing adventure! We grow many varieties of peaches from the well know Redhaven and Elberta to the lesser known but popular Glohaven and Biscoe. We let our peaches ripen on the trees for the best tree-ripened flavor and texture. 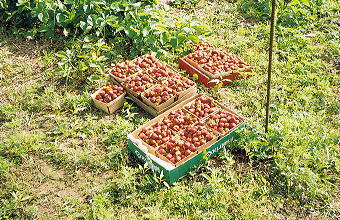 We start picking peaches with Earliglos at the beginning of July and continue picking different varieties until September. Our peaches are available at our Markets in Marthasville and Washington and occasionally at a road side stand in Union. You can pick your own peaches from the time they ripen in late June through early August. Check the What's Ripe page for picking dates and times. Our apple orchard features over a dozen varieties of apples which ripen from early August through mid October. Our most popular varieties, the Mutsu and the Missouri Red, may not be familiar to you but once you taste them you’ll know why people keep asking for them. We also grow Jonathan and Delicious apples that people are accustomed to. We sell our apples pre-picked and washed in our Market, or you can pick your own apples on Saturdays and Sundays in September and early October. 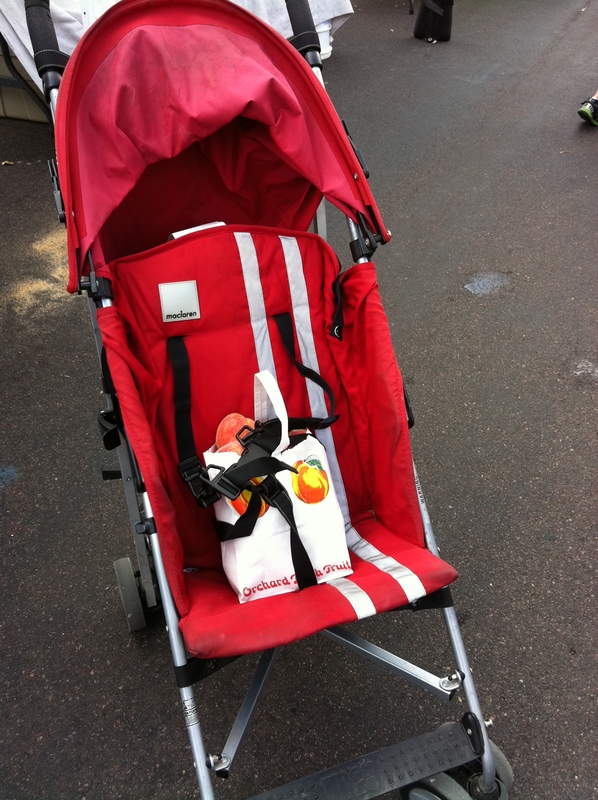 For the PYO, just park at the Market and we’ll give you a free hayride over to the apples. We use our apples to make fresh apple cider, a treat that is hard to find and hard to beat! Check the What's Ripe page for picking dates and times!